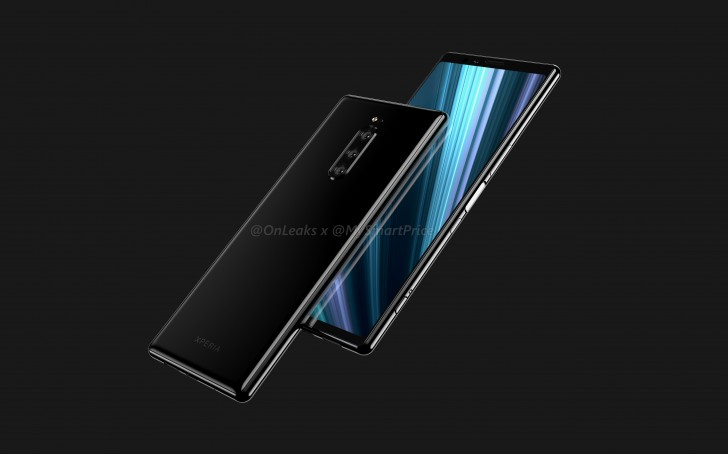 Sony’s all-or-nothing for the mobile business is expected to come next month during MWC 2019 in the form of Xperia XZ4. This particular device has been living on the news for the past couple of months, being a target of multiple leaks. We even got a glimpse of the handset design through a set of CAD renders. A few days ago, a screen protector leaked confirming the device tall display, which is expected to come with a 21:9 aspect ratio. 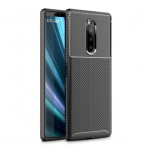 In the case, you’re not satisfied with everything we’ve got so far about the Xperia XZ4, Olixar is here to bring more. 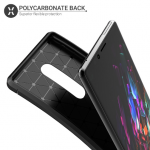 The popular case maker leaked today a couple of press renders that reveals the Xperia XZ4 tall display and its triple-camera setup on the back. The camera setup itself is one of Sony’s biggest promises for the upcoming device since the Japanese company promised to deliver a solid camera performance on its smartphone. After all, why the company that supplies the best camera sensors of the world, can’t succeed when these sensors are equipped on their smartphones? Going back to the leaked press renders, no matter how the UK-based e-tailer might be accurate, we advise you to take these renders with a pinch or two of salt. The Sony Xperia XZ4 may not come with the slimmest bezels of the party, but of course, its design language seems to have finally met the long-awaited refreshment. To be honest this kind of design seems to come to please those who can’t deal with notches and look for a more traditional, but still stylish design. 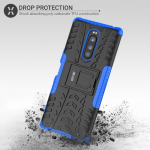 The case seems to reiterate the presence of a side-mounted fingerprint on the scanner, that should double as a power button. It’s interesting to see Sony sticking with “what works” instead of embracing modern, “invisible” authentication methods, like the in-display scanners. The full details about the smartphone should come late in February, when we will, in fact, know the Xperia XZ4 in all its glory during this year edition of the Mobile World Congress. Sony is keen that this device will put its mobile division back on track, but let’s see if the device will live to the expectations.